Since Avast’s acquisition of AVG last year, we have been working to combine the best of both companies to provide our partners with more comprehensive and complete security solutions, unified under one brand - Avast Business. We’ve integrated our technologies and released new versions of CloudCare and Managed Workplace to help our partners sell more powerful solutions and deliver enhanced service, while making it easier to do business with us. 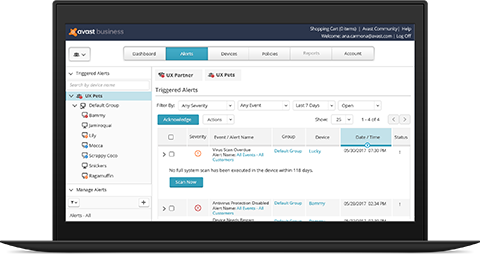 From a single screen, you can access to easy‑to‑read actionable dashboards, manage patches, automate maintenance, view reports, perform security assessments across all client sites, and take actionable steps to secure their networks. 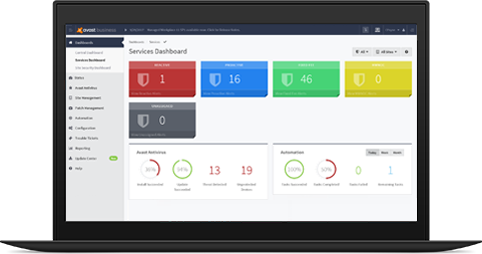 CloudCare is a cloud‑based platform that makes it significantly faster and easier to monitor threats, resolve issues, and deliver multiple layers of protection to your customers. With CloudCare, you can rapidly deploy pay‑as‑you‑go service that deliver the protection your clients need and helps you build recurring revenue.